Let's call it the ActiveX Plugin for short, even though it handles more than just that. 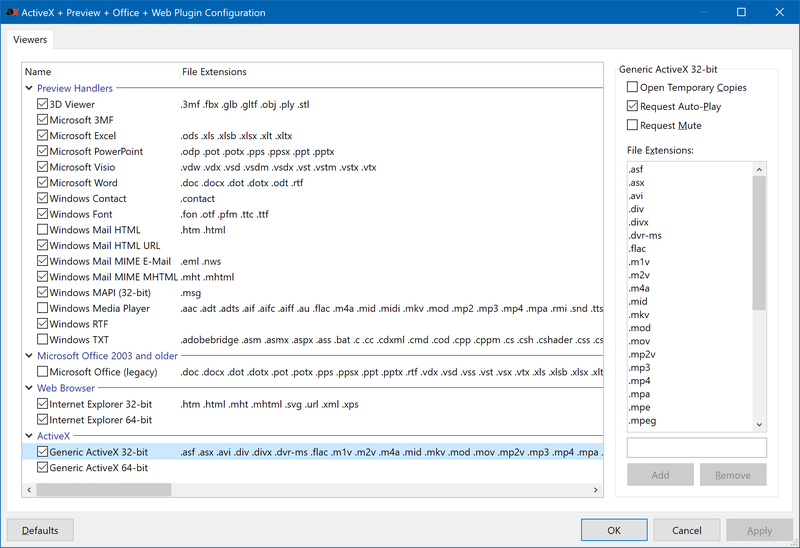 This is a meta-plugin which allows a large number of viewers to work in Opus, including those which work with File Explorer and Outlook (e.g. 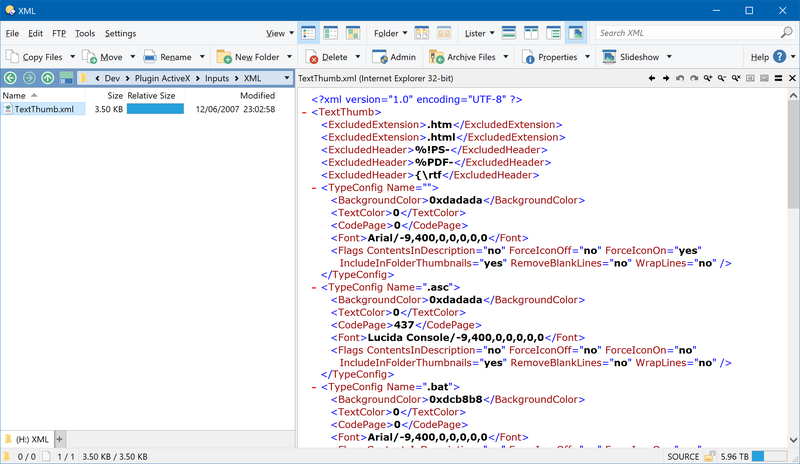 the MSOffice preview handlers), as well as many which work with Internet Explorer. The ActiveX plugin comes with Directory Opus but depends on other components to actually do anything. 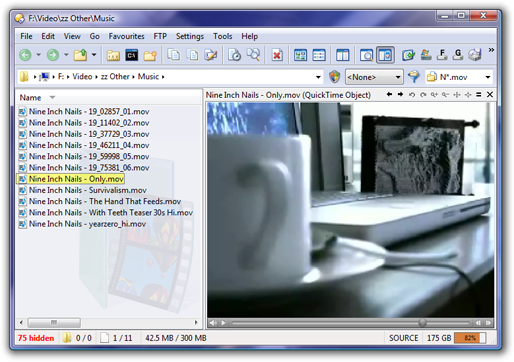 Several come with Windows, as well as other software like Office, while additional viewers can be downloaded from third parties. Some of those viewers are also discussed on the forum, and work via this plugin. Between Opus releases, you can sometimes download a newer version of this plugin from the plugin's web page (but this is rare these days, unless you see a post about test versions on the forum; updates usually just come with Opus). 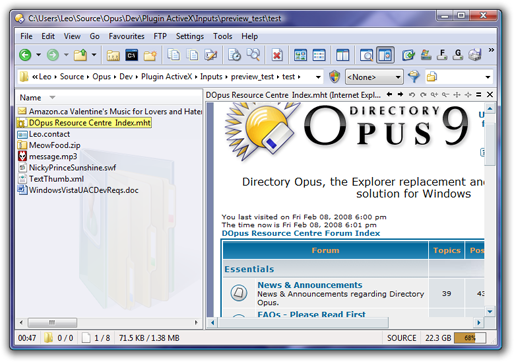 The ActiveX plugin allows Directory Opus to view various document types within the Opus viewer pane. 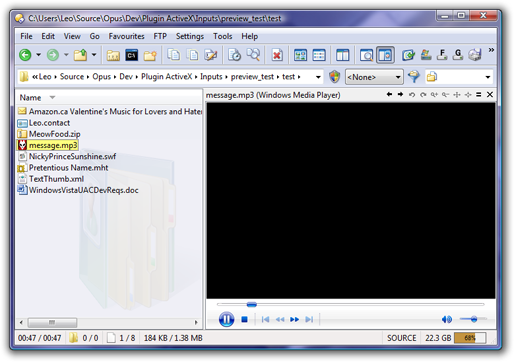 The plugin will hook other programs and viewers into Opus, depending on which compatible software you have installed. 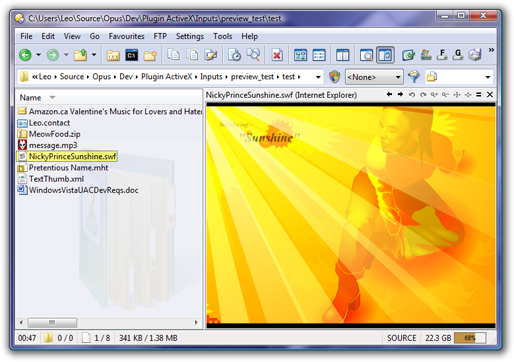 The plugin includes the ability for 64-bit versions of Opus to use both 32-bit and 64-bit ActiveX viewers. 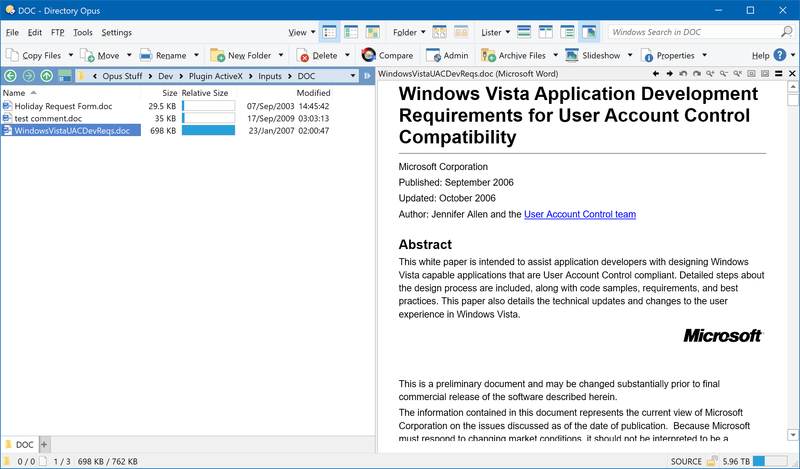 For example, this enables 64-bit users to view PDF and Flash files within the Opus viewer pane, even though Adobe have not produced 64-bit versions of their components. How to get Dopus to use my Vista preview handlers? For Newbies: My lean Dopus 10 power packed! 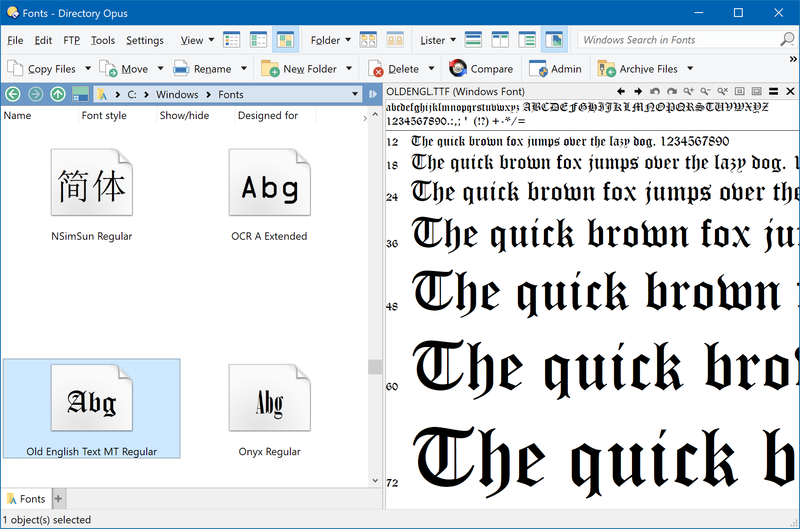 You need something installed that provides either a preview handler or an ActiveX control for viewing Word files. The only things I know of which provide those and work properly these days are MSOffice itself and QuickViewPlus. 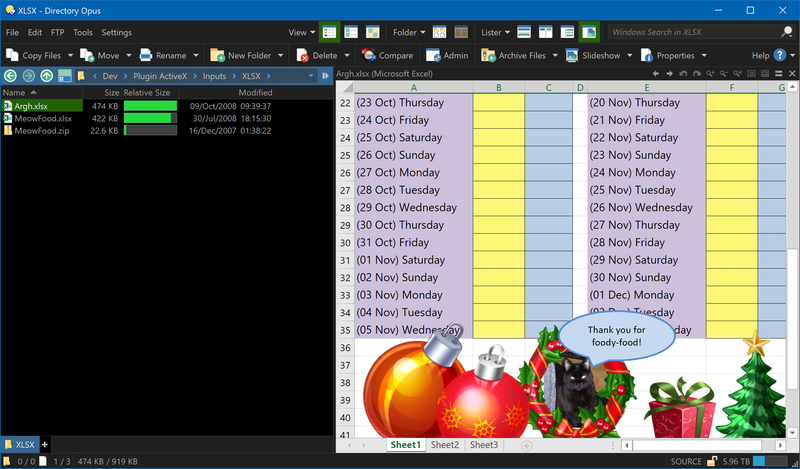 I had some machines that did not show Excel-files in DO-preview-pane. It's a know Office-Bug (I think only 2016), so I share an easy fix for that here. 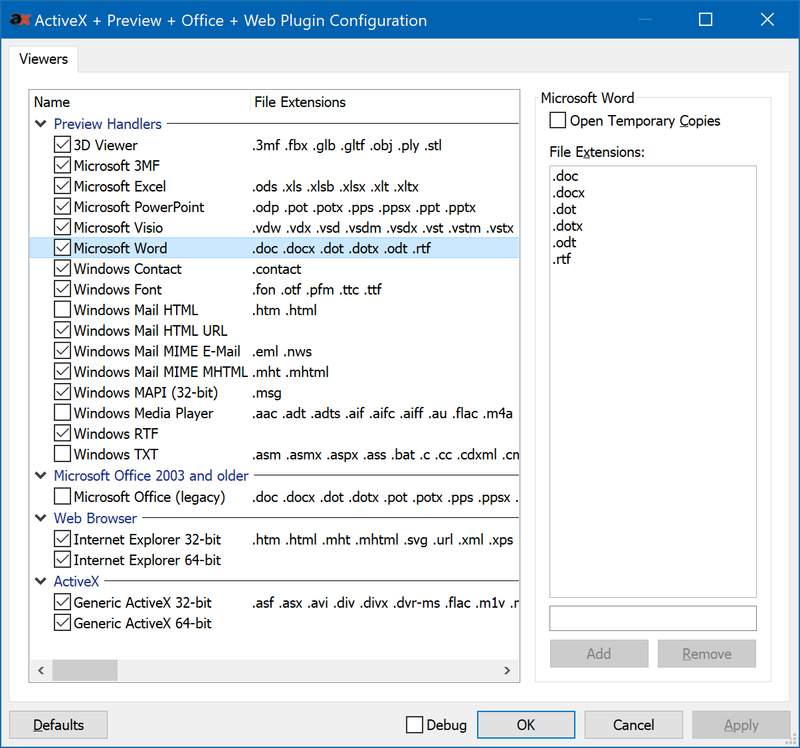 I have Office 2019 installed but when I try to preview all office files I get the "exception caught by ActiveX plugin...". The ActiveX plugin is activated in my plugin list. Can you display Office files successfully in File Explorer's viewer, or is it broken there as well? Which version of Opus are you using? Yes the preview works fine in Explorer. I am on 12.12. Please post a screenshot of the plugin's configuration window via Preferences / Viewer / Plugins. I think it looks like yours? The error you're seeing means the Word viewer which comes with Office is crashing when asked to display the file, but that's as much as I can tell you from here. 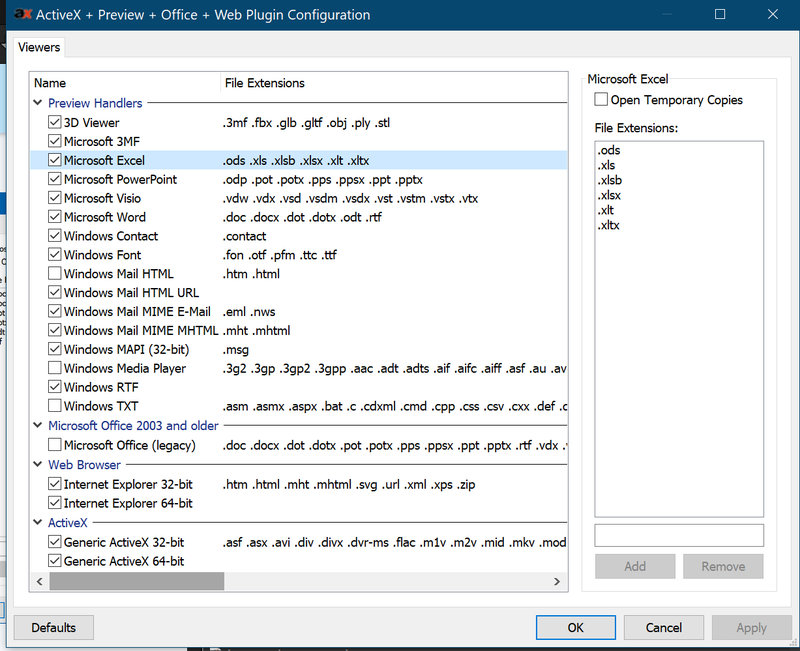 I don't have Office 2019 to test with, but I do have Office 365 which (at least as I understand things) should be essentially the same software at the moment, until they start diverging, and the viewer is working OK here with that. I might suspect anti-virus or similar security tools are breaking the viewer if it is run inside of Opus, maybe because they are killing processes which try to open your document files and aren't on a whitelist. Thanks Leo for the suggestion. The only security tool I have is Windows Defender, I tried to disable real-time protection but doesn't help. 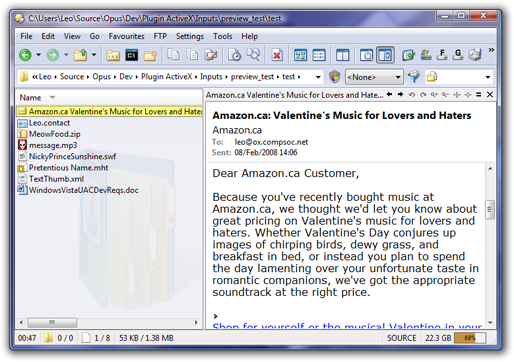 I also tried to run Opus in Administrator mode but it doesn't help.